Want to know who is ringing your doorbell before you head to the door? Think of smart doorbells as your home's caller ID. Smart doorbells are essentially smart security cameras that are attached to your front door so you can see – and even talk to – whomever is calling, whether you're home or away, via your smartphone or tablet. How is it installed and powered? Some smart doorbells are dead easy to install – they ring inside, over your door's peep hole, and run on a battery. Others are ridiculously difficult because they have to be installed as part of your regular doorbell and connected to your home's electrical system. Some are powered both by battery and a hard-wired electricity source. Which way you decide to go may depend on your handy man electrical skills. How do you know if someone is at the door? That's not a stupid question. Yes, you'll know when they ring the doorbell. But some models also include a motion detector and can send an alert if someone is loitering nearby — particularly helpful if you're not home. What does it see and does it record video? Some smart wireless doorbells include a screen inside the door showing you who, or what, is on the other side. Some capture still photos of your visitors when the bell is rung. Others act like smart security cameras, capturing a video recording of whomever may be wandering within view. How theft and weather-resistant is it? You want to make sure your fancy new external doorbell won't simply be swiped off your door jam. For those who live in extreme weather zones, you're probably going to want to know the doorbell can both operate and withstand extreme heat, cold, ice, rain or anything else Mother Nature can throw at the device. You'll want to read the fine print here, and go through the, yes, long manufacturer's warranty against theft and weather. 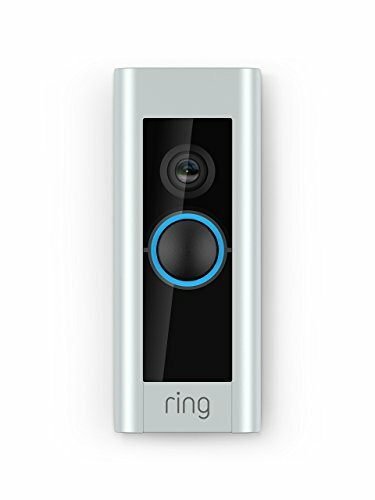 What's the smart doorbell compatible with? 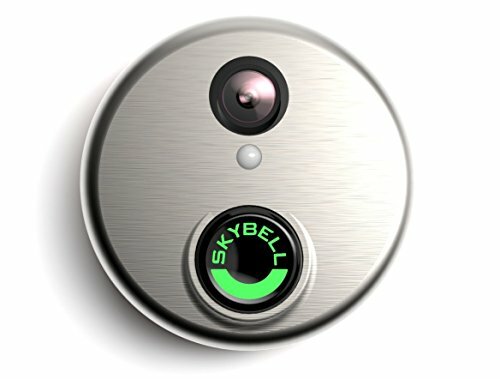 A fully-featured smart doorbell should be easily paired with a smart lock. So, after you confirm and speak to a service worker when you're not home, you can then unlock the door for them. Not having to wait around for the repair person ever again? That perhaps justifies the initial investment right there. For help in setting up and installing a smart doorbell, you can visit HomeAdvisor.com to find a local trusted professional to help you.